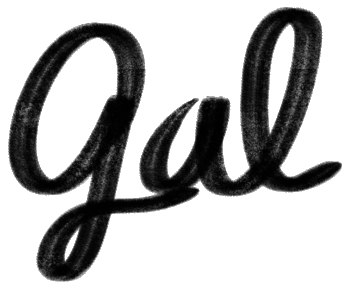 This is the first nomination for a blog award that Gallantly, gal has received, so I am very excited! Andrea of The Perks of Being Different has nominated me for the Mystery Award–thank you very much! You have to go check out her blog because she has this raw, engaging voice that makes her content addictive. Click the link above and read on for my responses! 1. I like savory more than sweet (appetizers > dessert). 2. My favorite artists are Pink, Kelly Clarkson, and G-Friend. 3. I have a spoiled silky terrier named Coco (But how can he not be?! He’s so cute!). 1. What is the most recent song you discovered by watching a movie / series? I’m not sure if this counts but I’ve been watching clips of Dancing with the Stars. In one of them, the female dancers performed to Bishop Briggs’s “River,” and I really liked the song! 2. On what did you spend your first earned salary on? It’s tradition among Koreans to buy your parents undergarments with the first paycheck (don’t ask me why). I think I intended to do that, but I don’t remember if I actually did or my mom convinced me to get them something else… Either way, I’m pretty sure I spent it on them. See Also: Introducing a new section for guest feature writers! 3. If your old school would organize a reunion, would you go? How would you behave? HA NO. It’s funny because when I was actually in high school, I was totally up for it. I got strange looks from my friends when I said I looked forward to the reunions, but I thought it’d be fun to see how everyone grew up. Now I see belatedly why no one else was enthusiastic about the idea. Sigh, I was so naive. If I were to go, I think I’d just be as engaging, friendly, and confident as possible because hopefully we’d have all matured by now and could act like adults (am I still being naive?). 4. Who is your “famous person” crush? Honest to goodness this is always changing, usually depending on my mood or what I’ve watched. I never thought Chris Pine that good-looking when I was younger but he has grown on me recently because he’s aged well and I liked him in Wonder Woman. I would still pick Tom Hardy over him in This Means War, though. And I would pick Joseph Gordon-Levitt over Tom Hardy in Inception. So, yeah, this is not a simple answer. One could say I’m more into the characters. 5. Does the culture of the country you’re currently live in suits you? I hated mornings as a kid, but really wanted to watch Saturday morning cartoons, so my mom would carry me and my bedding to the couch where I could watch cartoons half-asleep for hours on end every week. There was something really cozy and peaceful about this. Thanks Mom! As soon as I read the prompt, I also thought of how I absolutely loved reading as a kid. I devoured book after book, and my dad was very supportive of this. One day, he picked me up from school and in the car seat was a huge stack of books he had bought for me before picking me up, makin’ me the happiest gal in the universe. Thanks Dad! Oh my god! I forgot what I originally was going to write. My absolute favorite might be the day I got my dog. I remember it so clearly. Love you so much, Coco! As soon as he was introduced to his new home, he went under my bed and pooped there as a way of saying thanks. 7. Explain the tagline of your blog. My tagline (although you can’t see it anymore) is On a Quest of Quixotic Quirks. And I don’t even know if that makes sense, but I am a sucker for alliteration. Basically, the theme of my blog is to go on a gallant quest much like Don Quixote. While he never loses sight of his naivete and desire to save the world, I want to lose sight of my cynicism and save the world in a different way–help others by sharing my journey and inviting them on it. All while being quirky and having fun. 1. If you were to be reincarnated, what would your ideal next life be? 2. If you had already been reincarnated, describe your past life to me. Who do you think you were? Maybe someone famous? 3. Describe your perfect forever home to me. I’d love to know! 4. Are you a dog person or cat person? And do you think you are more of a dog or a cat? They don’t necessarily have to be the same (I for one recently realized I love dogs but may be more of a cat myself). 5. Backstreet Boys or N’Sync? 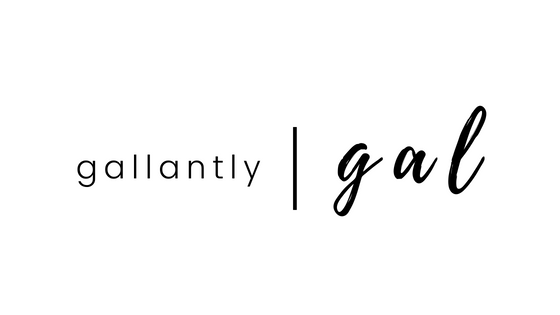 See Also: Gallantly, gal has been nominated for the Liebster Award 2018! As for my nominees, please do not feel obligated to participate! I just want you to know how great and award-worthy your blogs are. If you do, though, I hope you have fun with it and I can’t wait for your answers! Woo-hoo, great to see you got an award. 🙂 I know in some circles in the blogging world, awards are kinda used as a cheap tactic to generate traffic and it’s not genuine at all, but I have had good experiences with awards and like reading the Q & A sections. It feels personal and it’s a nice way to get to know a blogger. Also thank you for the nomination. I feel super tempted right now to give you all my answers to your questions right here right now. XD I love the reincarnation questions, but omg… you are really asking me about Backstreet Boys or N’sync!! Those boy bands give me such a wave of nostalgia!!! That’s a cool tradition you did for your first paycheck. And yes, Chris Pine… he’s drool-worthy lol. I agree about living somewhere where it’s always warm. That would be awesome. Justin Carter! Or, Nick Timberlake! Haha. Great answers! I’ll make sure I tag you next time if I get an award! congrats for the nomination:) Great answer all. Aw hehe ^^ Thank you! Mystery Blogger Award 2018 – Don't mind me, I'm justanervousgirl.